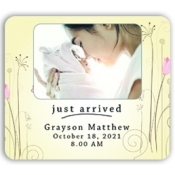 Baby save the date magnets are perfect for new parents who are eager to share the news of the new family addition with their friends, family and dear ones. 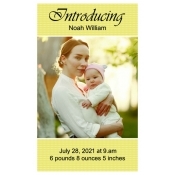 These save the date magnets help them to spread the word in a joyous way without hampering their budget. 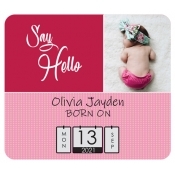 Colorful save the date magnets easily grab footage over the refrigerator doors and people will love to see a baby face before starting their day. Save on shipping anywhere within the contiguous USA. Parents dote on their babies and they are always special to them. Over the years, we all have seen new parents expressing their joy of parenthood through colorful postcards, letters, telephone calls, emails, mobile messages and recently in Facebook. Even to this day, newbie parents seek these ways to express their excitement of becoming a new parent. However, the problem with these alternative methods is that they merely become a distant memory with the passing of time. People easily forget such things when they get involved in their routine life. Baby save the date refrigerator magnets help them to remember every morsel of baby information and build stronger relationships with parents. 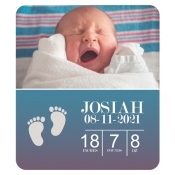 We can say that these save the dates magnets help people to keep the baby and his well-being always in their prayers. 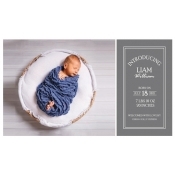 We offer a vast selection of magnetic save the dates for newbie parents, who can select as per their budget and personal preferences. These high quality refrigerator magnets act as communicator between parents and recipients and people always perceive it as a brilliant goodwill token. 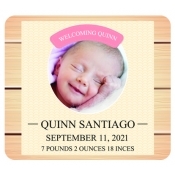 Newbie parents can avail these save the date magnets for announcing post-birth celebrations or for inviting guests to see their newest addition. 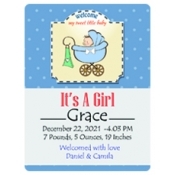 These magnetic announcement tokens has a high emotional impact. 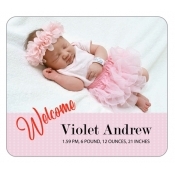 Newbie parents can express their joyousness through myriad of colors without worrying about piling up set up charges because we offer free full color printing. We offer free art set up, free online design proof and unlimited online mock-ups on all our custom magnets. Newbie parents, grandparents or others can approach us with their special designs at art@cmagnets.com or they can share it at the end of the express check out page. 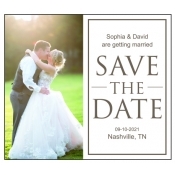 If you don’t find required save the date magnets in our selection, feel free to contact us at 855-762-4638 or write to us at info@cmagnets.com.